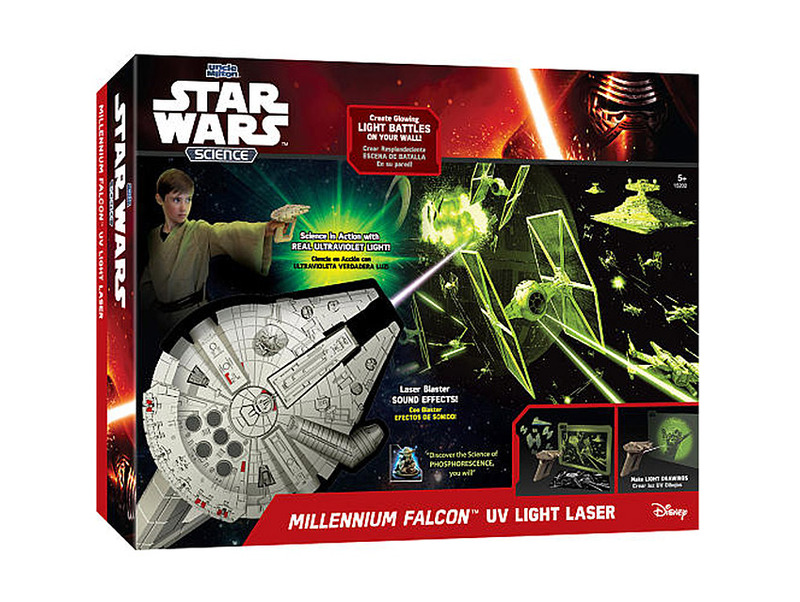 Become the Jedi you’ve always wanted to be and participate in your own Star Wars light battles with the power of Uncle Milton’s new Millennium Falcon UV Light Laser. An ultraviolet light shoots lasers out at TIE Fighters and even creates light drawings on a phosphorescent screen. The Force is strong with our furry friends. Similar to PETCO’s earlier Star Wars Pet Fan Collection, this Kylo Ren™ inspired rope wrap toy may look like the newest baddie, but it’s plushy enough to be chewed (nay, destroyed) by even the smallest pups. Sold exclusively at Target in collaboration with Hasbro, the remote controlled version of the Jedis’s newest sidekick is part of Target’s original line up of Star Wars products. The authentic-looking BB-8 Droid can be controlled by the user and will roll in various directions.